Logs saves on exit. It saves on your documents if tool is located in C drive. 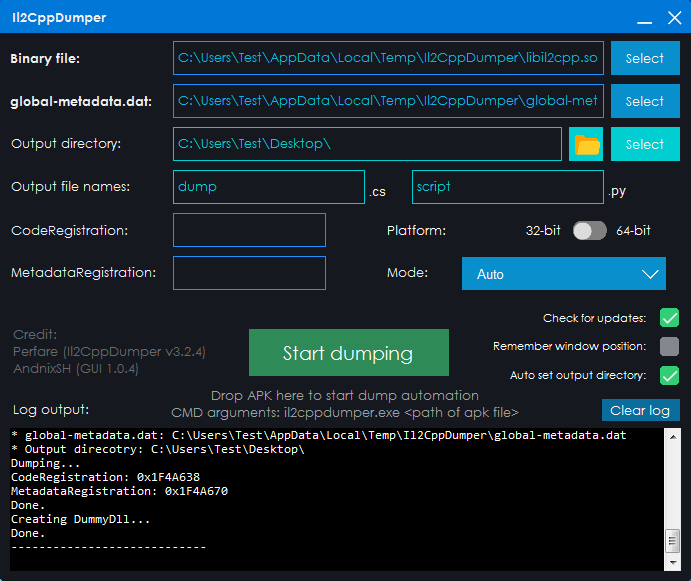 This works as same as original Il2CppDumper but with more advanced features. Open .apk (Android) or .ipa (iOS) using 7-zip or Winrar. Select binary file (.so file or iOS binary) and global-metadata.dat file. Select your mode. If manual set, you need to imput offsets you found in the binary file.